Windows 10 includes an option to change the lock screen background image. The personalization settings for lock screen, however, do not provide an opportunity to configure a solid background color. 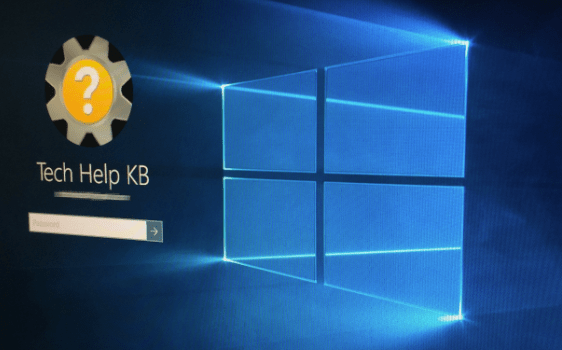 To change the Windows 10 lock screen to a solid color, you need to edit the Windows Registry. 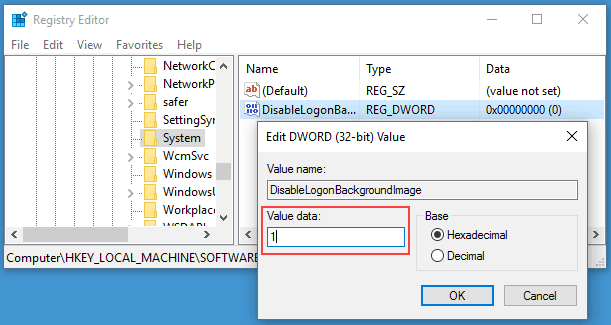 Windows includes a Registry Editor for this purpose. Follow the instructions below for precise editing of the registry. If you are uncomfortable with making such modifications, you may wish to pass on making this change to your computer. The Registry Editor will launch. 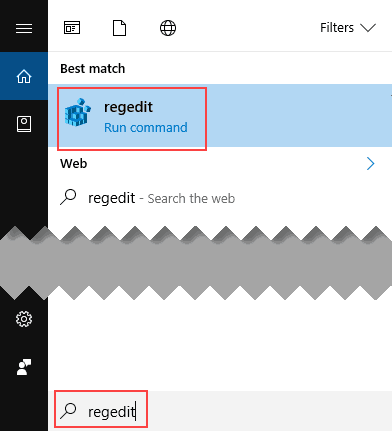 In the Registry Editor, expand the folders and carefully locate this path: HKEY_LOCAL_MACHINE\Software\Policies\Microsoft\Windows\System. Right-click on System. In the right-click menu, click New. In the sub-menu, click DWORD (32-bit) Value. Next, right-click on DisableLogonBackgroundImage, and click Modify. In the Value data field, change the 0 to a 1, then click OK.
By changing the value to 1, you have instructed Windows to display a solid background color for your lock screen from now on. If you wish to revert back to the default Windows 10 lock screen, set the value back to 0 (or carefully delete the DWORD value you added). Next time you log into Windows, the background color of the lock screen will be a solid color. The color is based upon your Windows accent color configured under Settings > Personalization > Colors. 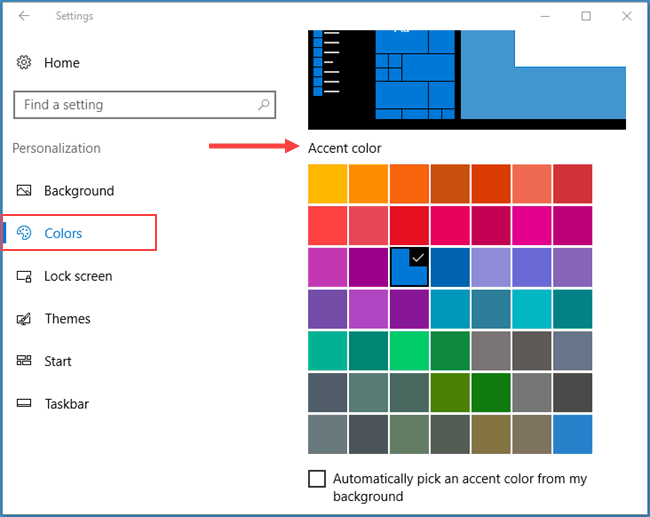 If needed, check the box to automatically pick an accent color from your background. Thank you for visiting Tech Help Knowledgebase to learn how to change the Windows 10 lock screen to a solid color.